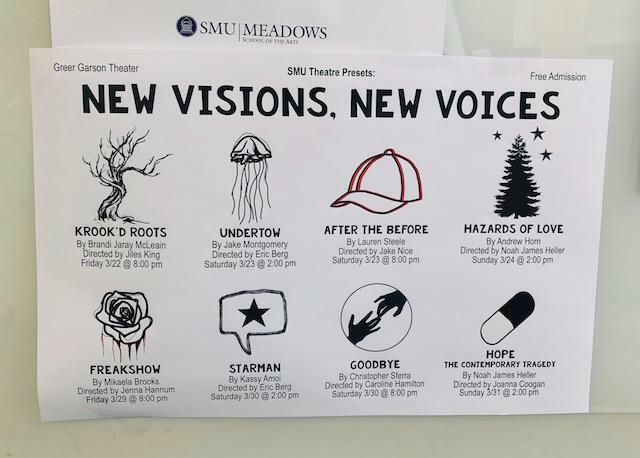 In its 25th year of production, SMU Theatre’s “New Visions, New Voices” is a theatrical event that invites eight student playwrights to present their original full-length plays as staged readings in front of an audience. The readings took place over two weekends, the first debuting on March 22. As one would expect, the topics of each work vary and rely heavily on the personal experiences or interests of each playwright. Stories about love, grief, racism, sexual orientation, industry, etc. all take the stage, each capturing and fascinating its audience in unique ways. After many hours of writing, editing, and rehearsals, these plays were ready for their first performances in front of an audience. Unless you have experience in theater production, chances are the term “staged reading” is unfamiliar to you. A staged reading is a performance of the play text without costumes, minimal lighting, without set pieces. 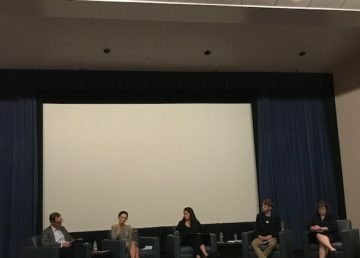 The actors rely entirely on their voice and bodies, as explained by SMU Head of Theatre Studies and “New Visions, New Voices” Producer Gretchen Smith. Simple and direct, fitting indeed. A collection of chairs and music stands line the stage before each performance. The actors enter the stage, quietly taking their places while opening binders containing the scripts. From scene to scene, the “active” characters (the ones speaking) stand while the others remain seated. This subtle yet simple mechanic provides a sense of visual pacing that indicates scene changes that may normally be provided by lighting or set design. So, how does this all work? Though the readings did not require costumes or elaborate stage design, that does not mean the playwrights handed off their scripts and ran blissfully into the sunset. As with any written work, plenty of editing and rewriting went into these plays. Also, Smith must thoughtfully cast the actors and hire local directors. As you can see, there are plenty of moving parts in these readings, though one might think otherwise. These intricacies exist not only “behind the scenes” in production, but also in the creative minds of the playwrights themselves. I asked some to describe their inspiration behind their work. 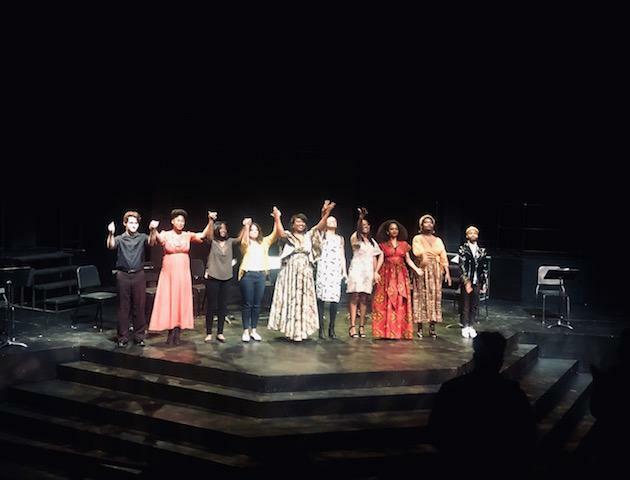 And so comes the end to another production of captivating performances by eight exceedingly talented undergraduate writers. Cheers to this year’s new visions, new voices. 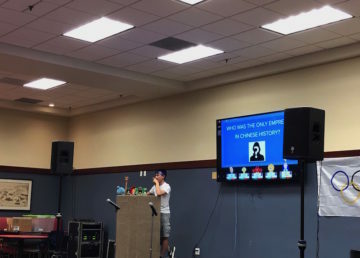 I’ll be waiting patiently for next season, and audience, so should you.